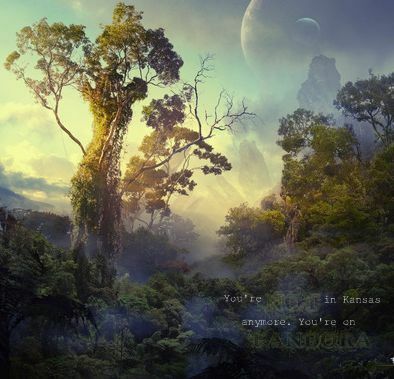 You're not in Kansas anymore.... . Wallpaper and background images in the Avatar club tagged: avatar 2009 film pandora. This Avatar fan art might contain sunset, jua, jua kuchomoza magharibi, beech, beech mti, mti beech, kuishi mwaloni, and live oak.